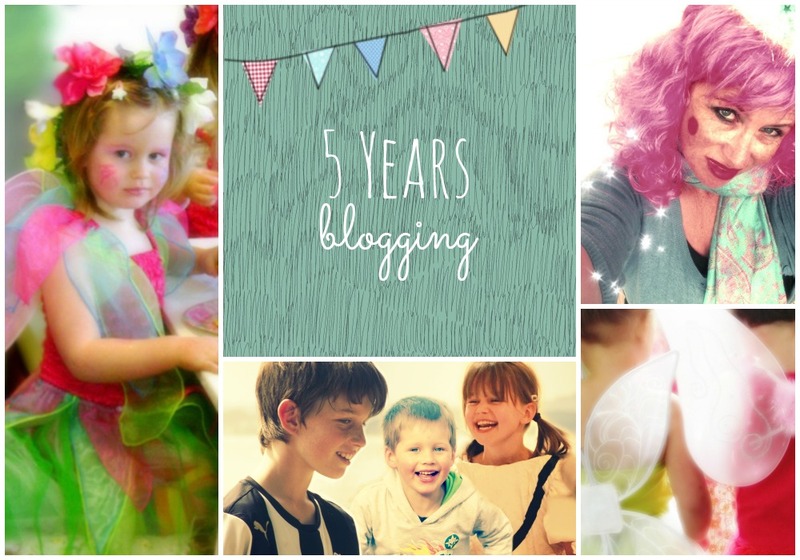 There I was, so busy juggling broken arms and insect bites that I missed my blogiversary! FIVE YEARS... can you believe it? 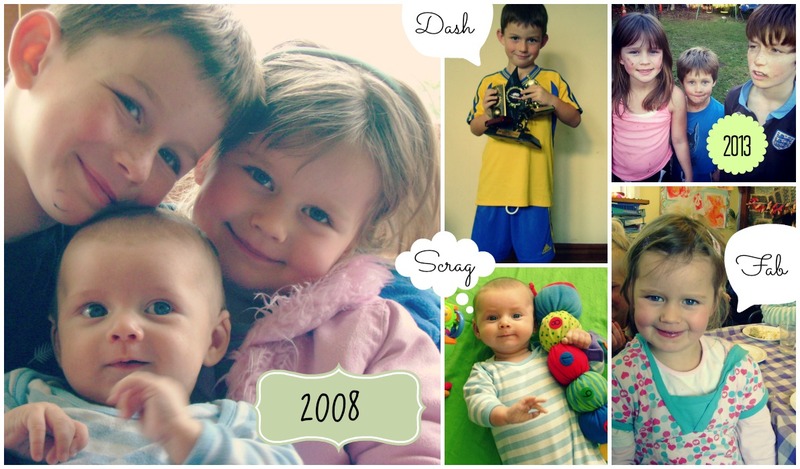 It's hard to believe that when I began (O so very long ago) my three kids were just babies. Dash was the age Scrag is now - five years old. Scrag, of course, was a babe in arms. And The Fab, well she was a Feisty Four. It all began with a party... and there have been many more. I have been able to share them all with you here, and you've been able to take my ideas and make them your own. It also began with honesty and the sharing of a difficult journey. Five years on that journey has taken some crazy twists and turns... and all along the way I've been documenting it here, sharing it with you all. I've met a whole bunch of you. Some of you have even stayed in my home. Others are on my "Must Meet" list. Many of you are now dear and real friends. I hear from many of you, thanking me for sharing my journey, my ideas. These messages are the oil in my creative engine; your feedback makes all the difference. ....for being your real, creative, out-there, fabulous self and for sharing it all with the world on your brilliant blog. I did a mega cut-and-paste of your Toy Story party for my big boy's 4th over here in England!! From INVITES to DECOR to CAKE to GAMES, it was pure imitation, blatant plagarism, and I want to THANK YOU from the bottom of my heart for offering up all of your great ideas. Thank you so much. 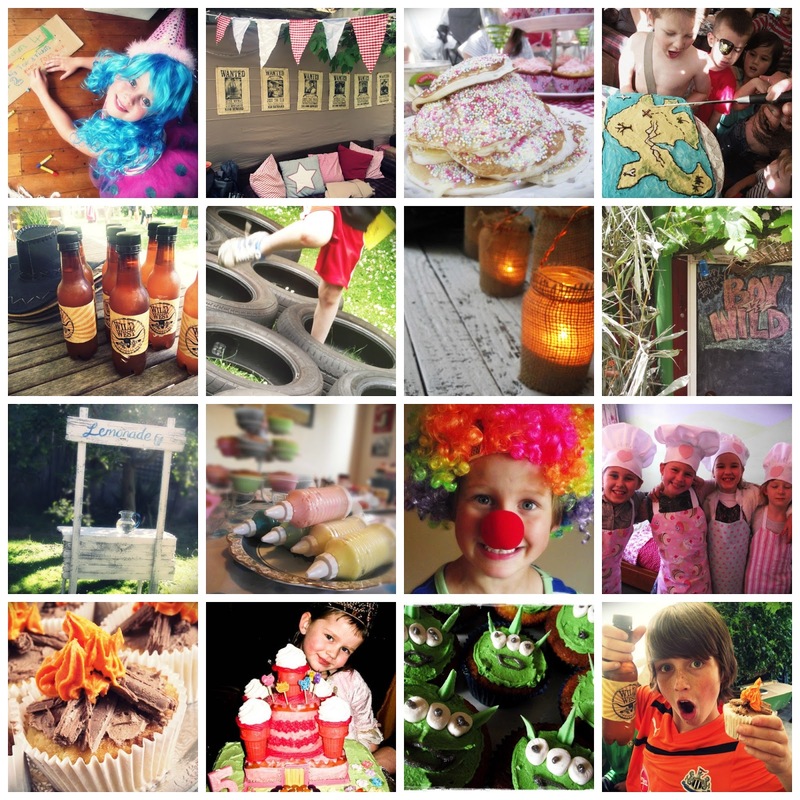 I have to say that in spite of my HUGE gratitude for the templates/ ideas/ inspiration, I am most deeply grateful to you for giving me the ***confidence*** to throw my first real-live kids birthday party. This party was a really big deal for me. I thought about it when I fell asleep and when I woke up for months on end... and really honey, I would not have had the guts to do it without your advice and inspiration. Thank you so much. By being your great self you have made me a bigger, more confident, happier me. So thank you!! Thats all I can say!!! So basically, girl, I owe you, and I'll probably never get to repay you! Hopefully someday i can give you a big hug!" Isn't that amazing? I literally wept. It totally blew me away that I had really actually helped another mum gain confidence. Just thinking about it now, I get goosebumps. This is why I do it, girls. This is what keeps me going and ensures that I never run out of ideas and motivation to keep on blogging. If my little stories can make a difference and encourage someone else to have a go, well, why wouldn't I? So here's to the next five years blogging. I don't plan on going anywhere and I hope you'll stick around too. There's plenty more stories in this old gal. P.S. You might have noticed I've been playing around with my blog design *again* (what can I say? It's fun for me!). I've created this new blog button which I think is pretty sweet. Grab it if you want!